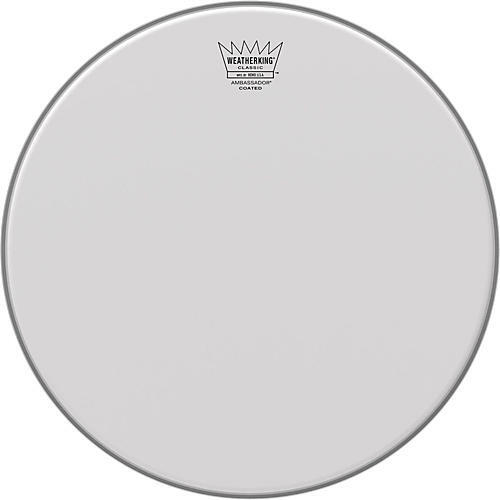 Remo Ambassador Classic Fit Coated Drum Head 16 in. Made to fit older, vintage style drums. The Classic Fit Drum Heads feature a slightly narrow flesh hoop and step design to address oversized drums made prior to the mid '60s. This gave Remo the inspiration to make a larger inside diameter with maintaining a standard outside diameter that does not interfere with the counter hoop. Constructed with Ambassador® Clear, Coated, or Fiberskyn®, the Classic Fit Drum Heads are ideal for older vintage drums that are out of round with thick overlapping drum coverings.